Click Here to launch the audio player in a new window. 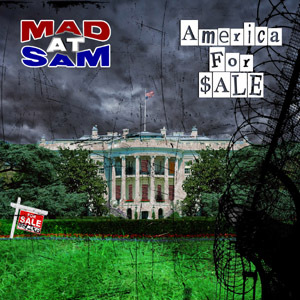 At a time when our country's future is uncertain, a band called Mad At Sam reminds us of what is like to be an angry, vocal opponent of the system, irate at human injustices perpetrated by those in power. Mad At Sam reminds us of what crossover should be - fast, loud, and to the point. 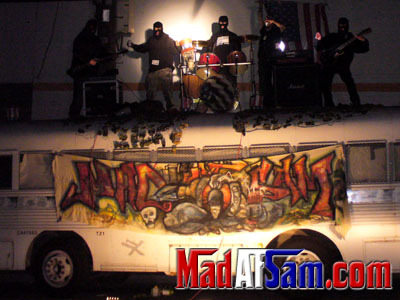 Mad At Sam is a high-energy metal/punk/crossover band from the east bay area of California. 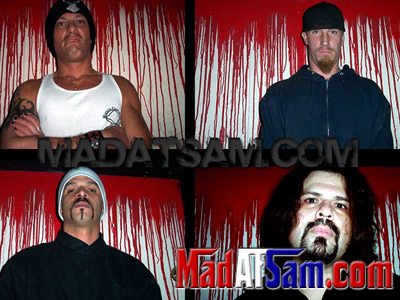 Mad At Sam formed in 1998 with members of local bands such as Powerhouse, Bad Intensions, Negative Perception, and the Full-Time Killers. 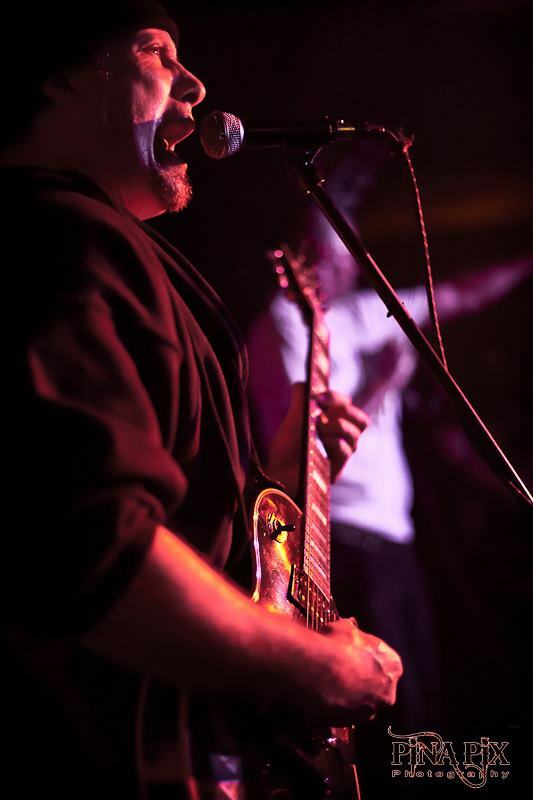 The band was originally formed by Rick Fitzsimmons and Gene Jones who recruited Mike Walter on Bass. 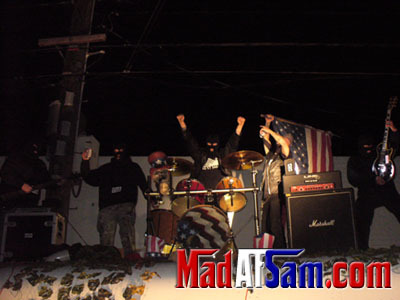 Mad At Sam started out as a three piece power trio with Gene on drums, Mike on bass, and Rick on vocals and guitar. 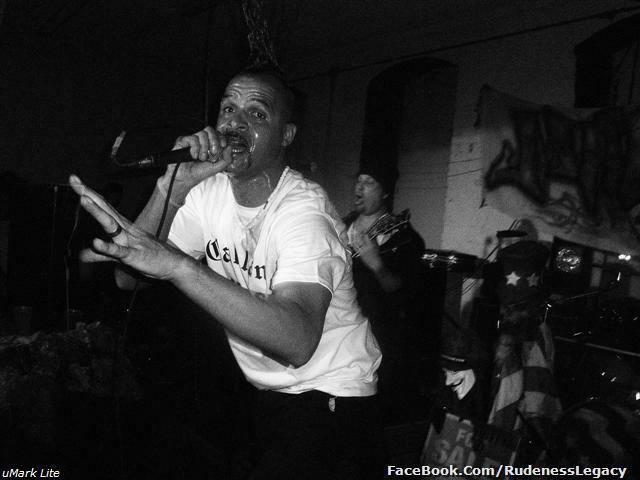 Eventually it was decided to add Paul Santos on vocals to release Rick to full time guitar playing. Mad At Sam influences have a wide range of artists. 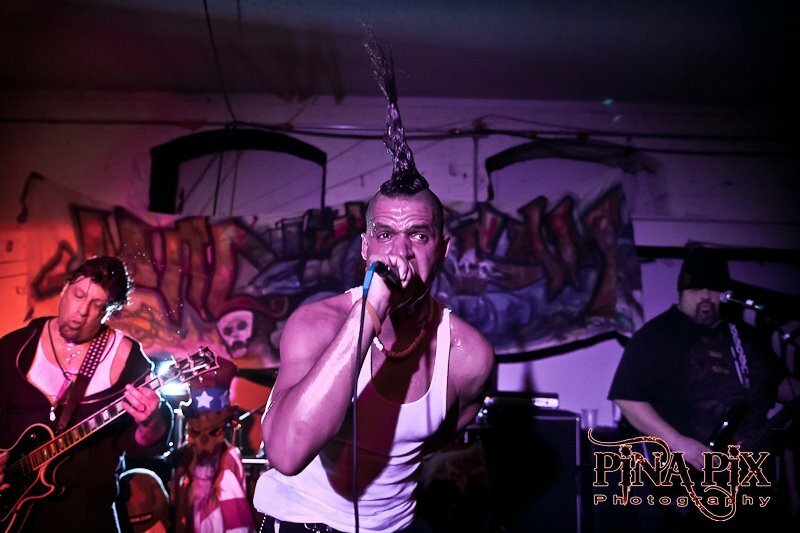 Rick goes back to the 80's glam rock and metal scene. 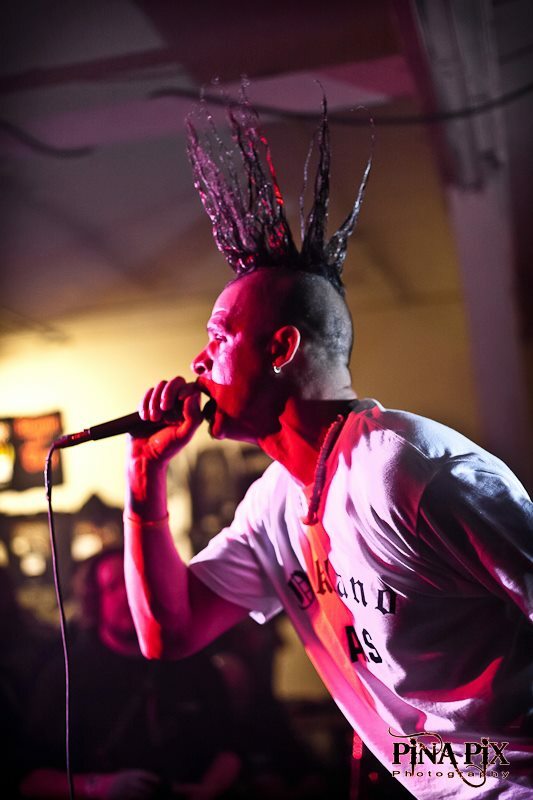 His influences at the band's inception were Exodus, Slayer, Metallica, Guns n Roses, and Skid Row. While Gene's influences were NOFX, Slayer, Terror, Suicidal Tendencies. The two of them conjured up "something in the middle". 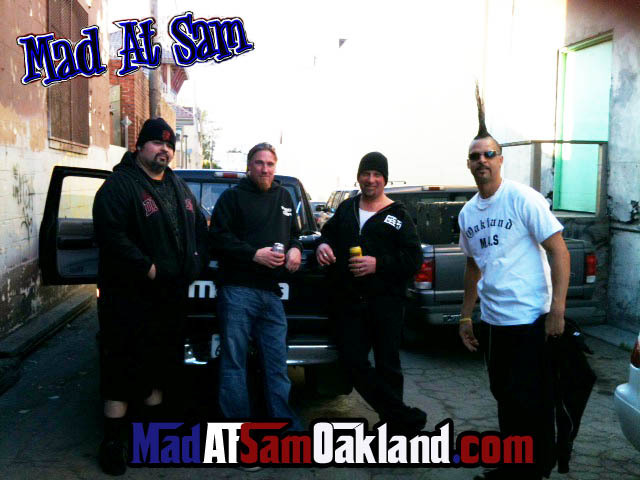 Mad At Sam hit the east bay scene by force and only continued to move forward. 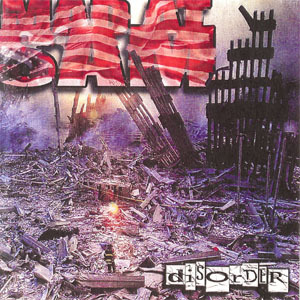 In 1999, Mad At Sam was approached by lead vocalist of east bay metal legends Exodus, Paul Baloff. At the time, Paul wanted to join Mad At Sam , change the name and write new lyrics. Mad At Sam declined at that time, only to have Paul return months later and say "I have songs & lyrics and another guitarist. Are yuou interested now?" Obviously Mad At Sam said yes. 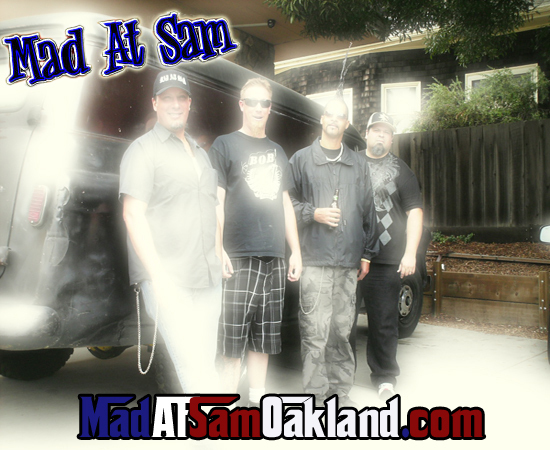 Mad At Sam hit the east bay scene by force and only continued to move forward. 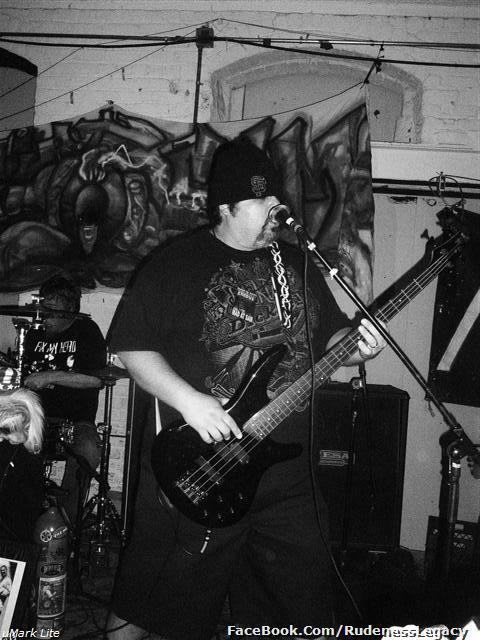 In 1999, was approached by lead vocalist of east bay metal legends Exodus, Paul Baloff. At the time, Paul wanted to join Mad At Sam , change the name and write new lyrics. Mad At Sam declined at that time, only to have Paul return months later and say "I have songs & lyrics and another guitarist. Are you interested now?" Obviously Mad At Sam said yes. 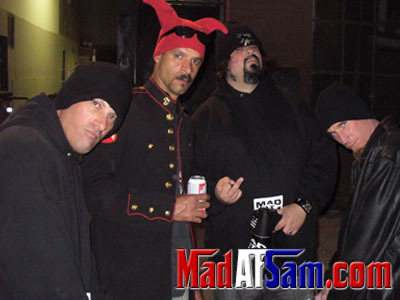 In April of 2000, Mad At Sam teamed up with Paul Baloff and began Paul's solo project called "No Love", an Exodus song title and a popular one at that. 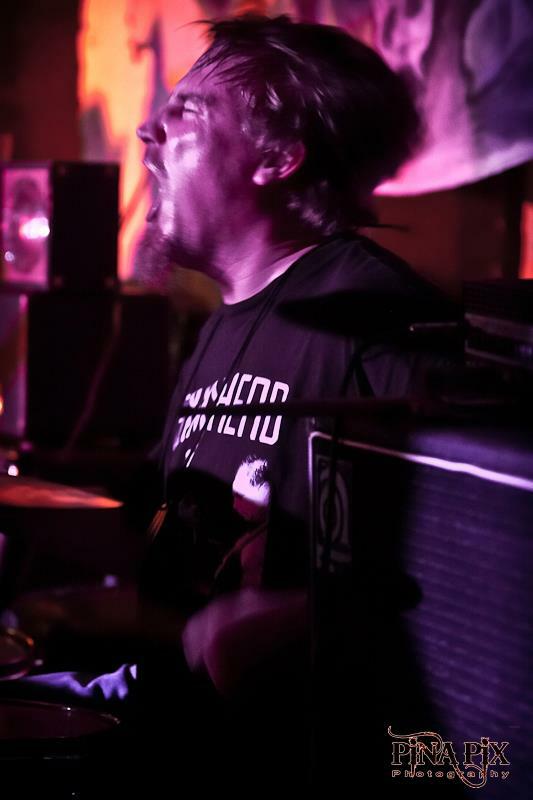 It quickly drew attention and Mad At Sam found themselves in the mix of bands like Anthrax, Death Angel, Machine and of course, Exodus. 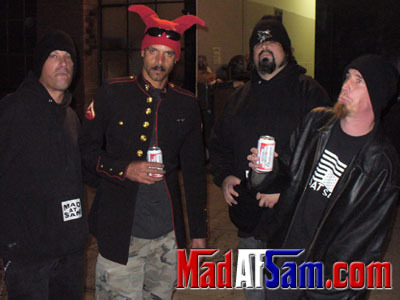 Mad At Sam was already compared to bands like Suicidal Tendencies and then when they added Exodus frontman, they were taken much more seriously. Just when things started to blow up for Mad At Sam , Paul Baloff left us and passed away on Feb. 2, 2002. The band was shocked and left to the decision of "what is next?". Larry Hatchett is the guitarist that Paul brought with him. 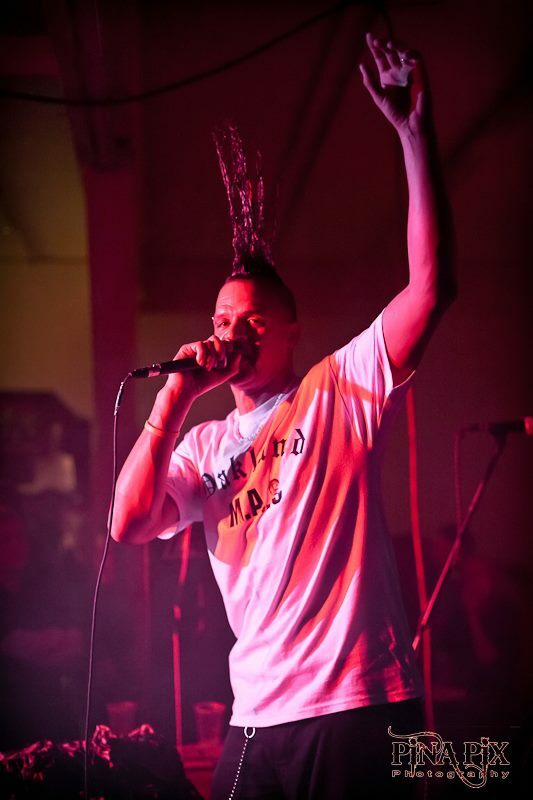 Larry comes from the east bay band Melevolence. Larry has high motivation and energy. So the band decided, after Paul's death, that Mad At Sam should go back to the original Mad At Sam plan. However, this time the band decided to add Larry to the band. 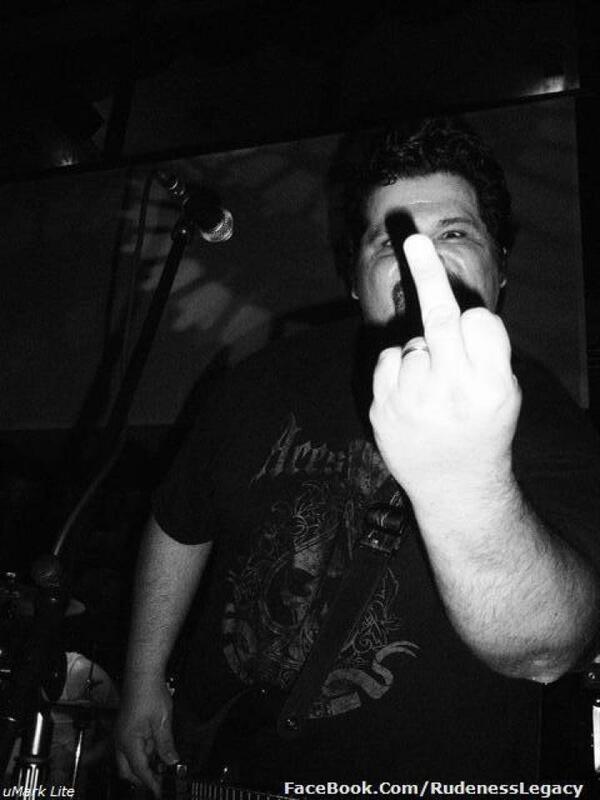 Due to band interests conflicts, the band parted ways with Paul Santos just prior to the No Love project. Larry was to replace Santos on vocals and caught on quickly to the Mad At Sam message and could not have filled the slot any better. The band got their name out even more than it was thanks to Paul, but now, things were at a new level. 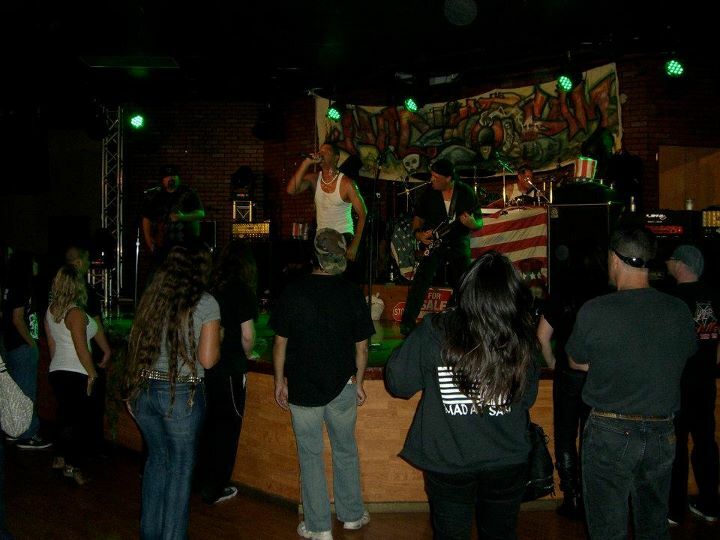 Within weeks, the band entered a bay area battle of the bands. 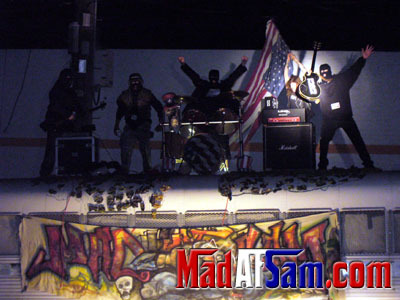 Mad At Sam competed against 50 bands with judges appearntly looking for the next Limp Bizkit or music of that ilk. Mad At Sam pulled in a winning 3rd place. Pretty impressive considering the genre the judges were looking for. Soon afterwards, there was talk of the band in Zero magazine, SF Weekly, and other local publications. 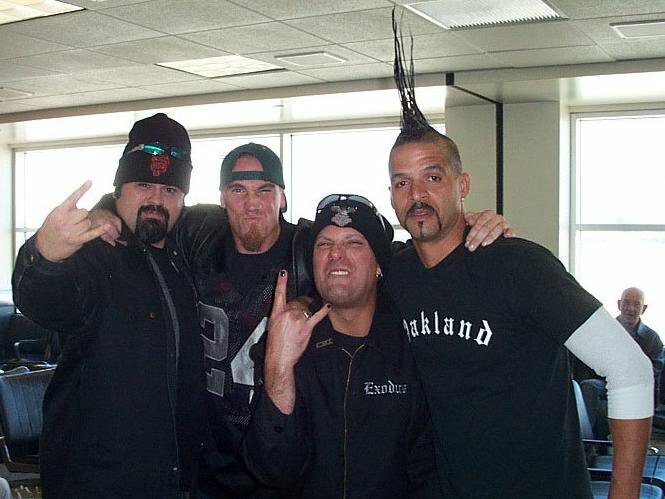 At this time, the band decided to part ways with Mike over personal conflicts. 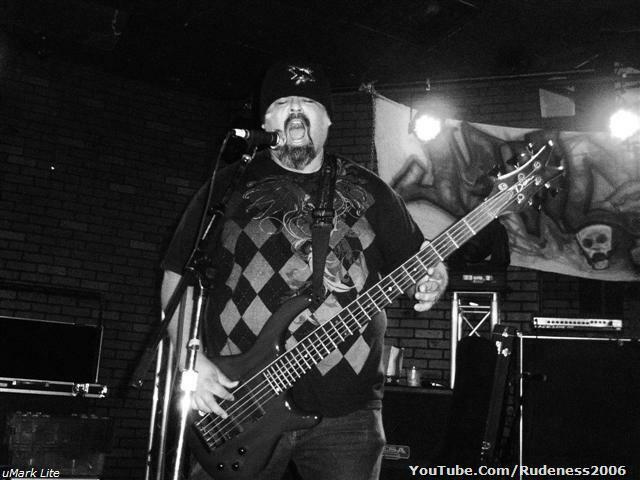 Mad At Sam had a revolving door of bass players until the band recured Joe Jimenez. 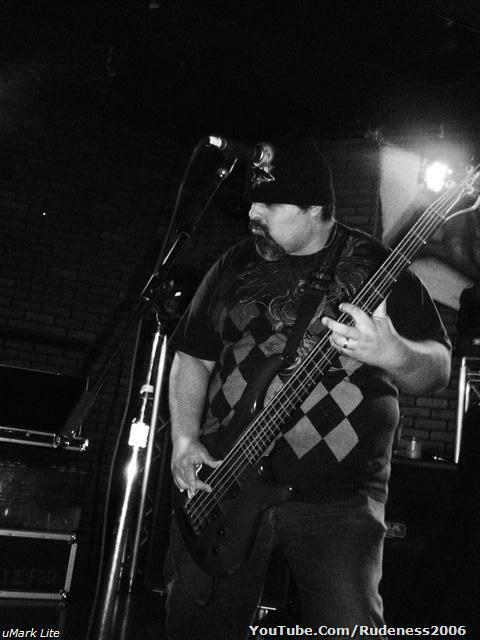 Joe is an establish local bassist in the metal scene, coming from bands like Ulysses Siren, Warning SF, and Apathy to name a few. He brought stability to the table and took a share of writing the music with the other members of the band. 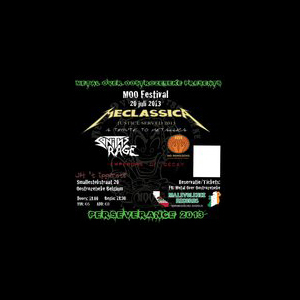 We still have various sizes of t-shirts available.